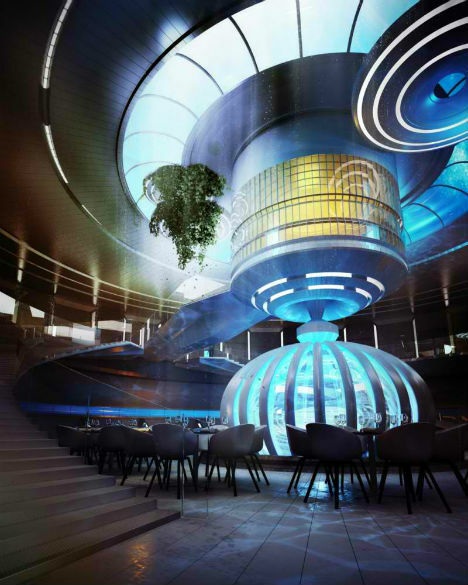 Looming above the surface of the sea like a spaceship, the Water Discus Underwater Hotel is a futuristic wonder that is actually set to be constructed in Dubai. 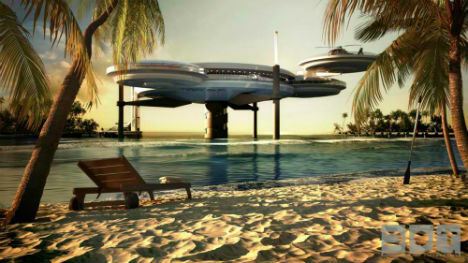 The luxurious resort features a support column connecting the upper discs to additional volumes underwater, with stairs and an elevator whisking guests up and down. 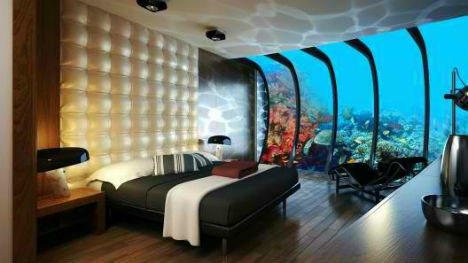 Deep Ocean Technology has released images of the planned hotel, which may be reproduced elsewhere in the Middle East. 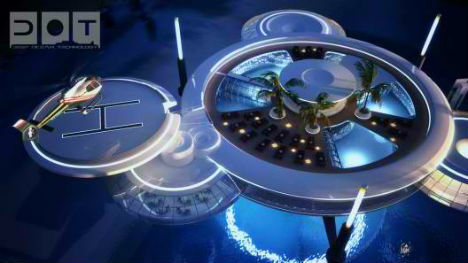 The Water Discus Underwater Hotel can work as an independent structure or be joined with additional modules to create a larger complex. 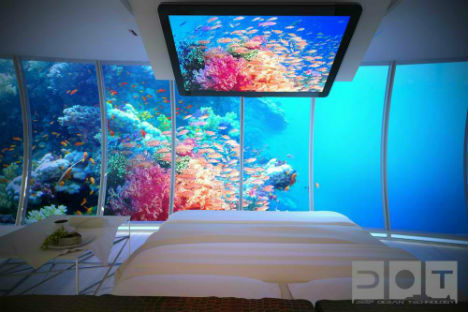 Not only does the underwater section of the hotel boast glass-walled rooms, but guests can actually manipulate a special lighting system to illuminate the water outside their windows, getting a better look at the sea life that emerges at night. 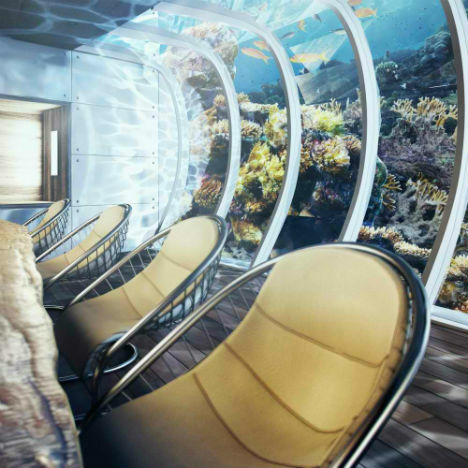 For those who want to venture out into the water, there’s an underwater dive center. 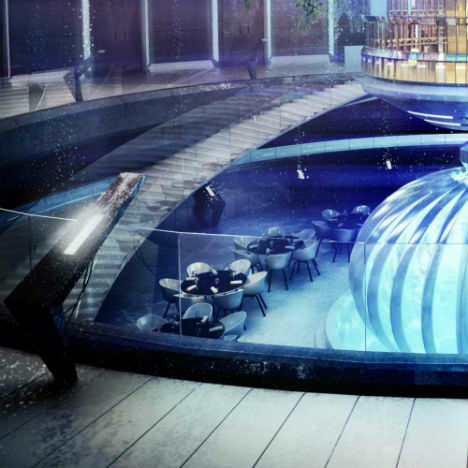 Within the disc that hovers above the surface of the water is a restaurant, spa, recreation area and a lobby built inside a massive swimming pool that’s accessible from the roof. 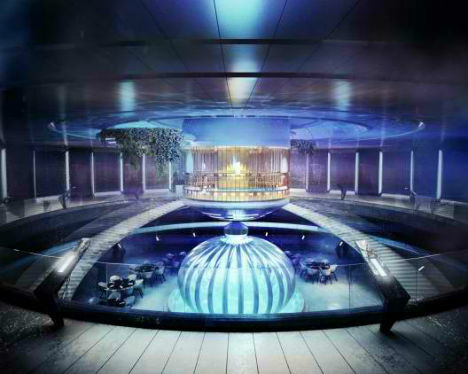 The deep pool enables guests to dive down into this disc and swim around the enclosed restaurant. 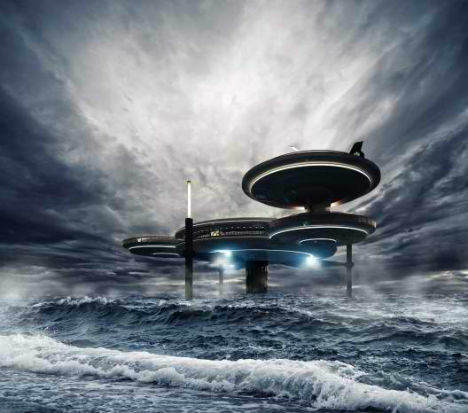 And this may just be the coolest part: if there’s any danger, like a severe weather event, the underwater disc will automatically rise to the surface. The small size of each disc also makes them easy to transport if “environmental or economic conditions” make it necessary. 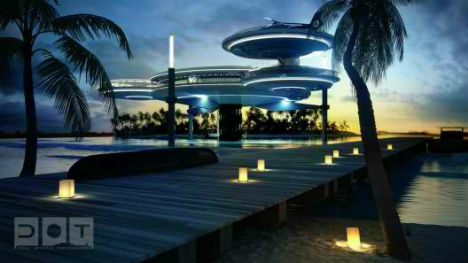 See more images at ArchDaily.